Canada’s housing market received more evidence of improvement with a modest month-over-month rise in existing home sales, while year-over-year increases continue to be skewed by last fall’s swoon, according to data released by the Canadian Real Estate Association (CREA) on Tuesday. Canadian existing home sales rose 0.8 percent from August (40,464) to September (40,793) on a seasonally adjusted basis, but from last September to this one, the actual rise (not seasonally adjusted) is a stunning 18.2 percent. The story here is that year-over-year comparisons are less meaningful due to the measures enacted by the federal government to cool down the housing market last summer. As CREA described the phenomenon in its press release, “The 18.2 percent increase compared to year-ago levels year-ago levels reflect weakened activity at that time.” Last year’s low starting base level will make year-over-year increases look unusually high. According to CREA, sales were up in 75 percent of local markets, led by Greater Vancouver, Calgary, Edmonton, and Greater Toronto. 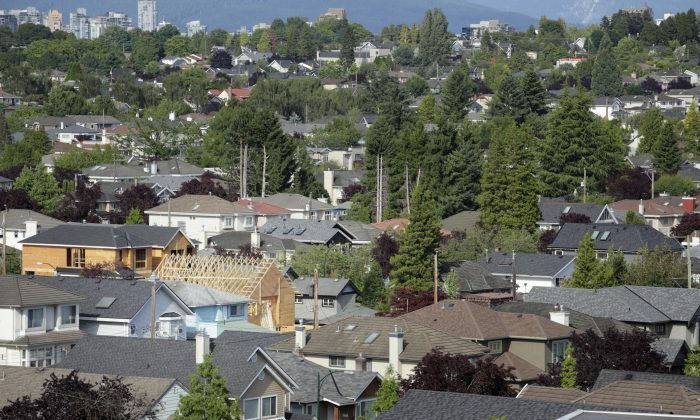 The figures are staggering for Vancouver as compared to the rest of the country: Year-over-year sales are up 64.3 percent, and from August to September they’re up 6.7 percent. Toronto sales are up 26.1 percent year-over-year and 2.4 percent from August to September. On a more downbeat note, Halifax home sales are down 11.1 percent year-over-year and down a surprising 10.3 percent from August to September. BMO points out that the 0.8 percent rise, while better than forecasted expectations, is lower than the 2.6 percent monthly pace seen over the prior four months. The upshot is that this type of activity should fade later this year as mortgage rates have generally been steady since late August and borrowers will feel that there’s no need to rush to lock in a mortgage rate now. CREA’s assessment of the housing market is that it’s still balanced based on a national sales-to-new listings ratio of 56.1 percent last month. “Based on a sales-to-new listings ratio of between 40 to 60 percent, about three of every five local markets were in balanced market territory in September,” CREA said. The national average price for homes sold in Canada (not seasonally adjusted) in September was $385,906. This is up 8.8 percent from September last year. But in terms of the Multiple Listing Service (MLS) Home Price Index (HPI), the aggregate composite index rose 3.13 percent year-over-year. The difference with using the MLS HPI is that it is not affected by the change in mix of sales like an average price could be. The Teranet-National Bank National Composite House Price Index rose 2.7 percent in September year-over-year, but was unchanged month-over-month. This index, which covers 11 metropolitan regions, is not seasonally adjusted. National Bank points out, “It is only the third time in 15 years that prices have failed to grow in eight of the 11 regions at this time of the year.” Also, only four regions exceeded the national average, which is the lowest since June 2012. As has been the case for the past few months, Canada’s housing market is on stable footing and is showing signs of improvement after last year’s fall.